Not all power lift recliners are the same, so it is advisable that you test out a lift chair at a brick and mortar store before making a purchase on line. If there are any special features that are important to you, make a list before going to a shopping. Be sure to find out about delivery and any assembly. Being informed is so much better than encountering a situation after a purchase and not knowing how to resolve it. 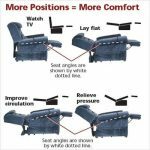 We hope this information has been of some help in your search for that perfect power lift recliner. 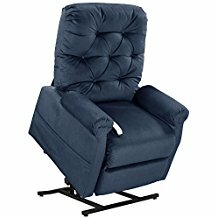 You may also want to review wall hugging lift chair and top lift chairs for heart patients in your research. 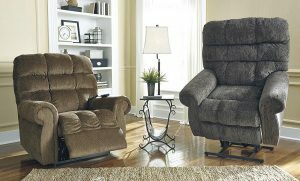 Power lift recliners or wall hugger electric lift chair are readily available. 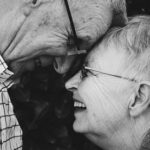 They may be purchased via the Internet, medical supply companies and fine furniture stores. It is important to compare size, features, comfort and cost before investing. Determine your individual needs before making a purchase. Attractive. The neutral color and chair design will blend with most home decor. Space saving. 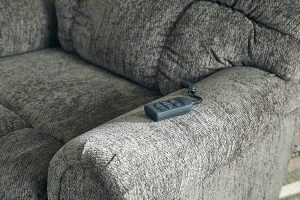 The chair is able to fully recline when placed four inches from the wall. Easy to clean. Spills can be easily cleaned with a damp cloth. Very stain resistant. Quiet. The lift mechanism is whisper quiet when engaged. Easy to assemble. The chair is shipped in two pieces. The back slips easily into place. Heavy duty. The lift mechanism is constructed out of heavy duty steel. Slides. The chair slides on some floor surfaces. This could be a potential safety issue. Renu leather. This is a bonded product and should not be confused with natural leather. Renu is a composite of polyurethane, leather and polyester. The fabric can be slippery. Totally electric. 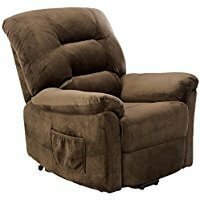 This means that if the power goes out that the chair does not have a back up method to return to the down position. 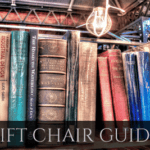 The chair is gauged at a 300-pound capacity. There is a sturdy construction with an overall dimensions of 35 inches wide, 37 inches deep and 43 inches high. It is a good fit for an average sized man or woman. 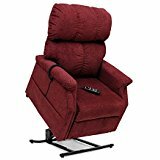 The power recliner is a three-position electric lift chair. 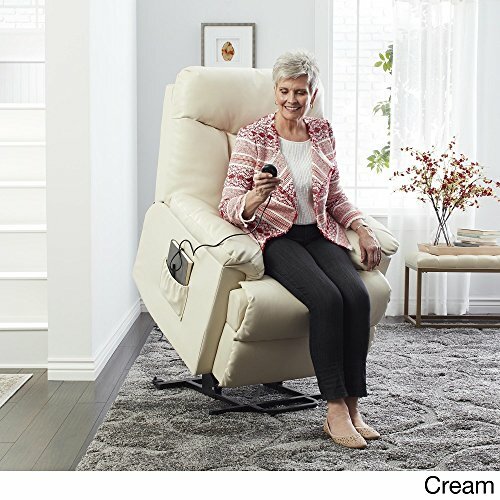 The back and leg rest operate on two separate motors allowing for a wide range of positions. 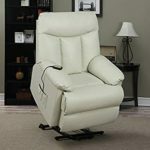 This makes it an excellent choice for an individual who will spend an extended amount of time in the chair. 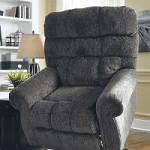 The manufacturer offers similar chairs in various colors and upholstery. 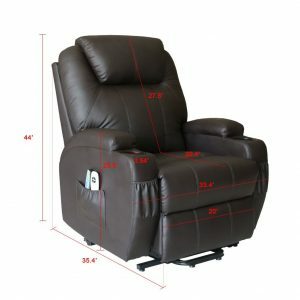 Thess Power lift recliners are also available in renu leather brown, renu leather black and a beige microfiber. Be sure to examine the product details carefully as product specifications may vary. 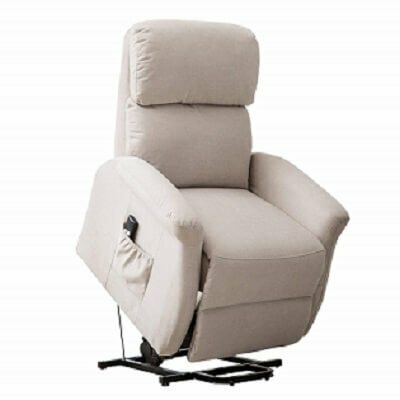 The Domesis power recline and lift chair is a viable choice for the budget-minded consumer. The chair offers everything that you need to fit into small spaces similar to bread toasters. The innovation used to design this chair and the innovation to slice bread may be different but they are both worth our considerations. 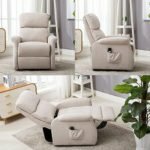 You may be interested in learning about this budget friendly seating option and selecting a lift chair.